Our jumpsuits are the most versatile piece you can add to your closet. 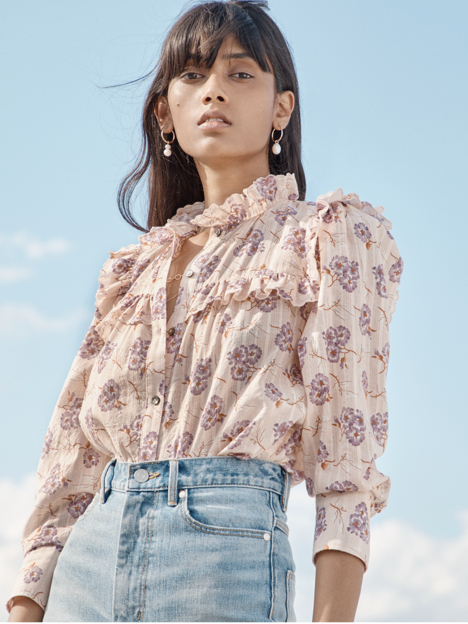 With designs incorporating our signature floral prints, fluttery ruffles, wide legs, fitted cuts and custom embroideries, these styles promise the ease of a one-step outfit without any sacrifice to style. Silk or velvet jumpsuits are ideal for dressier occasions, while cotton and denim options are infinitely wearable no matter your destination. These wear-anywhere pieces can be dressed up with heels, but look casual-cool when paired with your favorite sneakers.